A friend once told me her boyfriend (then) used to send her all sorts of sweet text messages during their courtship. The most unforgettable one for me was "Bring me your sunshine and I'll bring you my smile". I thought that was the sweetest thing ever and I remember this phrase till today. After my last angry post, followed by feeling-blue post at Wishing on a Falling Star, I am just so relieved to welcome the weekend with lots of reasons to smile about! Another reason for me to smile today is that I finally completed the job that has been keeping me up most nights for the past week. And now, I can breathe easy again and perhaps catch up on my favourite TV soap, which I've been neglecting thanks to my busy schedule! I still have to work on my invoices and what not but until my next eye-straining, mind-numbing technical translation comes along, I can at least look forward to a relaxing weekend before celebrating CNY on Monday. Eh how many times can vote eh?? once jer ke? Am still on my GG rounds but dah kat Awesome.. after this LJL!!! u? Recent blog post: Inauguration Celebration in Austin, TX. 7pm?? can i hire you?? lol!! hehe.. congrats again Blue.. how's Singapore? Panas tak? no probs dearie.. I went to eat lah tadi.. came back too late..lol!! I love the containers.. love gitu! hehhe.. now HE must be all smiles too!!! hahaha.. tulah...kita tengok sapa yg kena...lol! Glad to hear you're all smiles for the weekend, Marzie! Although Rex and I've got big changes going on in our lives that will limit my time in the blogosphere, it's all hopefully for the better in 2009. Have a great weekend! LJ, finished early cause I started early and connection oso good today mah! Are u done? Yeap.. all done with GG. Now on LJL!! Yihaa!! hahhaha... I can bayang his smiling from ear to ear...lol... hi B!! I'm thinking I drop like 200 for LJL, then 200 for LLP ..then kalau larat..
go back to LJL... am at office ni.. trying to finish post berbayar..lol! Ala still got one more week to do the rest, you kan LaJu! ;) He he, me checking out BW now! Ohhhhhhh is it? I thought till end of the month ha ha! Then how to finish 5 tonight?? Hmmmmm okies, but for sure gelap, causethe place is alfresco gerai style! Must eat there then baru la lagi sedap, eeee bestnye! Eat with hot rice, tu je, and watermelon juice for drink! Lol, some more made his colleagues wait for him while he snapped away ha ha! kailan ikan masin, two rice, ice coffee and tea and all for RM20 only!!! hahahha.. tulah.. tengah racking brain for ideas ni...lol!!.. later eh! aiyohh.. so sweet of them!! all for Mrs B!! Oh my well as for me I can't even imagine you any other way except with a smile. But sometimes we do all get angry. I missed that post but I am glad all is resolved now and your smile is back. I am still not dropping or back with EC completely. We have made up a tad. I have signed back up with the forums. But, as of yet I am still stubbornly refusing to give up my music. Thank you so much for remembering my birthday. I have had tears in my eyes most of the morning. Everyone has been so very wonderful!! Oh I do love and miss you and everyone so very very much!! It feels as if a part of my heart has been missing!! I wanted to spend a little time today blog hopping as a present to myself. Uauu, never saw Ice cream served like this. 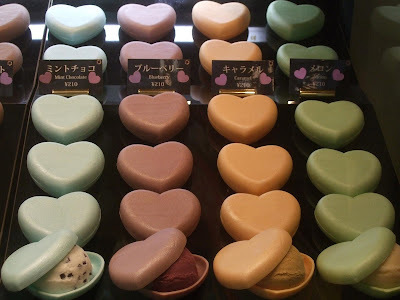 When I first looked I thought they were soaps, lol. Woudn´t mind trying, looks delish! Passing by to wish you a Good Weekend. Gotta vote for your blog too. I have every reason to smile these days because of what I'm doing for the bloggers in Singapore and my fellow citizens. Check on my blog for the River Hongbao festivities. 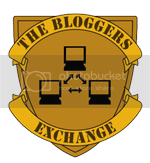 Association of Bloggers (Singapore) hope to bring some CNY joy to our bloggers all over the world! I'll be there every night for 9 nights to greet bloggers from Singapore and all over the world. Please help me spread the message. 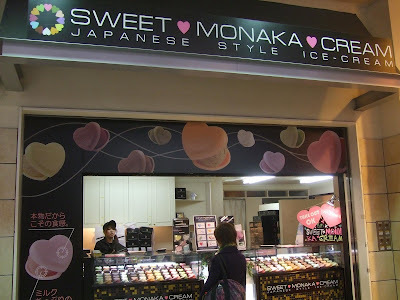 the ice cream looks too precious to eat, hehe. i bet they are yummy! 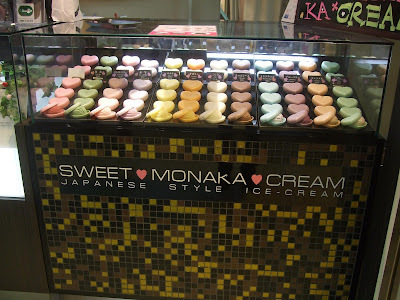 Wow, these ice-cream looks wonderful and cute. Wish I could see this in Singapore too. Hi Jackie, it is so awesome to have u come visit me here! I’ve missed u tons but I do hope ur new venture is doing well. HAPPY BIRTHDAY again Jackie! I’m really happy u decided to visit me today, I feel like it’s my birthday and ur visit here was your gift to me. Thanks so much for having me in your thoughts. Love and hugs! Wah as long as YUMs.. i'm willing to pay the price!!! Am on my LJL rounds now.. decided to go with her first.. cian dia. Just finished watching boldie? Are you up to speed? nak biatch ni!! lol! you.. and in that case avoid GG at all cost on Tuesday!! lol!! hehe.. now tak merajuk kan?? lol! whatever happened to Amber? did she die or something? Amber? She moved.. Right GP? Oopss.. GP is not caught up yet Ane.. better don't divulged too much.. ..
are you up to speed on the show? coming back to claim his place in FC? Yihaa.. good for you.. from who eh?? Ane, u dropping EC without mouse still? Like that I think better zzzz he he! Just do select dropping tonight lolz! me. i can't recall his face now..heheh..
the time.. which makes him perfect for a whiny brat! LJ, from RM. I chopped 2 terus ha ha! Doing one before MM, then another one after that lol! I refreshed and refreshed like a mad woman until got opps for me ha ha ha!!! and GP!! his latest action is the worst!!! Ane.. Little Eric is not a Forrester right?? Is Amber on Young and the Restless?? Me too Ane.. me too Ane!! Such a loser that guy! hmm.. no great love for amber I'm afraid..
hahahahahha Ane.. wowee to your description of Rick!! Ha ha! I remember ur LE story like it was yesterday’s ep Ane, thanks for the recap lol! That’s exactly what happened and who is LE with right now? Becky’s parents or Amber’s parents??? Eh why no great love for Amber la LJ? He he, her twin was so funny! trying to do... that jerk.. Suspense??? Aiyo….don make me watch now la!!! But I can imagine me getting angry later, I think there will never be a time when I’ll be happy with Rick! I tell you Rick is turning into his mom!! I agree I agree.. now he's not only not handsome.. but he's evil!! with.. Deacon or Rick that time! Now you have us Ane!!... big time fan!! they dwell too much on this Rick thing already, why not just kill him, eh? hahahha... yelah.. Rick is damn awful.. so selfish and so bratty!!.. Yeah.. the male version of Brooke!! Scary!! can't choose between these women, who are all related. At least he going at them one by one..lo! hahahaha.. Ane... Amber creates havoc all the time! LOL Ane.. you are hilarious..heheh.. But Deacon aint so great either... look at what happen to him and Brooke..
Ane..have you finished your rounds.. am on my LJL now.. so see you later ya! making characters suddenly disappear with little or no explanation at all?